equipped criminals got while endeavoring to take from bank users amid the Christmas festivities in Yenagoa. One of the suspects was said to have won a big stake of N4m from a mainstream football lottery firm around three weeks ago, before he was captured over his inclusion in robbery. According to sources, the suspect was also a popular member of a cult in the area. The sources, who said they were surprised by the development, noted that they were expecting the young man to use the money he had won to start a business or trade. They added that they were surprised that his N4m was already gone. The two robbers were arrested on Christmas Eve at Swali, a suburb of Yenagoa, near a popular new generation bank in the area. The two robbers waited for customers to withdraw money from the bank before attacking them. They were, however, unlucky as they were apprehended while they were committing the crime. 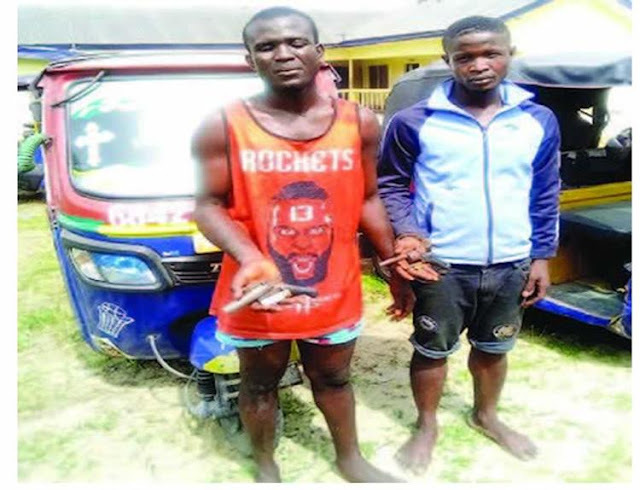 Spokesperson for the Bayelsa State Police Command, Asinim Butswat, said the suspected robbers were in police custody. He added that they were helping the police in their efforts to nab other members of the group, who were still at large.